November 2016 we introduced a new Gentle Pace Group on a Tuesday night to coincide with our main Tuesday Evening session. 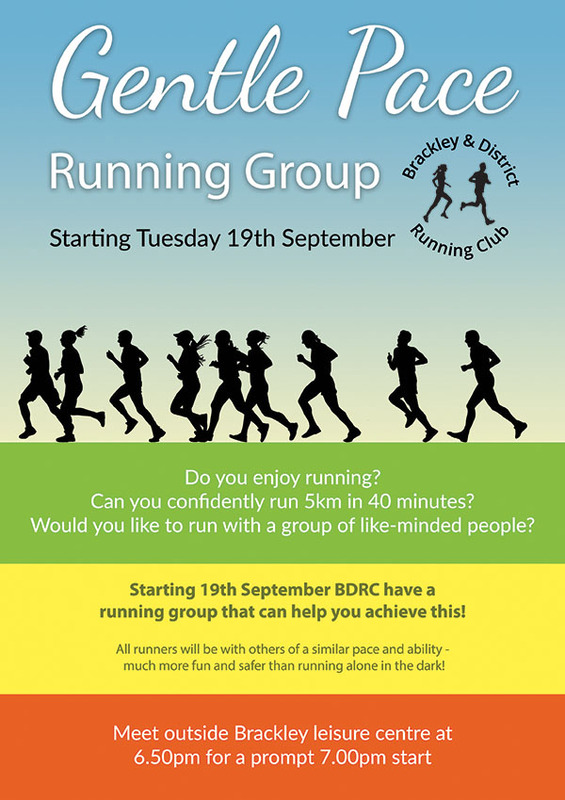 We meet at the Leisure Centre at 6.50pm for a 7.00pm start and run 4 miles. Keep an eye on facebook for routes and meeting points.